Welsh gold has a history stretching back at least 2000 years. Prized for its scarcity and origin, it has become one of the most sought-after golds in the world. 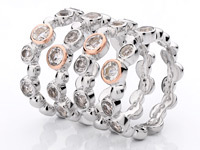 Within every item of Clogau is a guaranteed measured amount of Welsh gold. The tradition of the British Royal Family using Welsh gold wedding ring was carried into its 95th year during the most recent royal wedding of Their Royal Highnesses, The Duke and Duchess of Sussex on 19th May, 2018. Wales, with its dramatic scenery, is steeped in mystery and romance. Its majestic heather-clad hills cut by cascading waterfalls, and mountain streams rushing through gladed valleys are both the places of legends and of history running back into the mists of time. Yet, beneath the quartzite surface of this jewelled landscape, there is another treasure, as valuable as it is beautiful – Welsh gold. The songs of ancient Celtic bards, and archaeological records, affirm that Welsh gold has had a long and fascinating existence. Not only is Welsh gold one of the rarest precious metals in the world, but its reputation has taken on an almost magical dimension through time. The tradition is presumed to have started by panning gold from alluvial placers in river beds, or near old rivers. 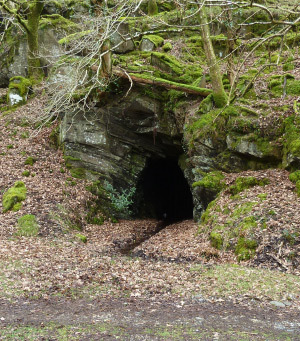 By 75AD, however, large scale mining was already underway at Dolaucothi and from 1862 until 1911 the Clogau St. David's Gold Mine near Dolgellau had produced 165,031 tonnes of gold ore resulting in 78,507 troy ounces (2,442 kg) of gold in what was known as the 'gold rush' period. Today, Welsh gold is scarcer than it has ever been. When mining took place at the Clogau St. David’s Gold Mine in the late 1990s it used to cost over £1000 an ounce to extract. With no gold mining taking place in Wales today, Welsh gold supplies may eventually run out, making it possibly the rarest gold in the world. 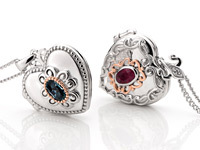 Due to the scarcity of Welsh gold, only a small amount is included within each piece of Clogau. 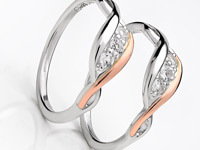 This ensures the longevity of Welsh gold supplies, and the affordability of Clogau’s jewellery. On 28th November 2017, 10 lots of Clogau gold, mined under government lease between 1979 and 1981, were expected to fetch about £9,000. 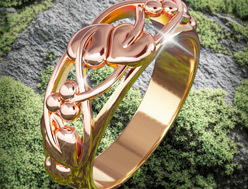 But after going under the hammer at auction in Colwyn Bay, the lots went for £44,000, the auctioneer had been told by experts that Welsh gold was "visibly discernible" from other types and the "Clogau factor" could increase the selling amount. The smallest nugget weighed 3g (0.1oz) had a guide price of £600-£700 but went for £4,000. The 16.26g (0.5oz) of gold flakes and dust was expected to fetch between £1,600 and £2,000 but went for £10,500. The precious metal was mined from Clogau St David's after a farmer in the area, Jack Williams, approached Kerry John Thackwell and his father Ray. The pair came to Wales to mine in Gwynfydd after working in Western Australia. Mr Williams told them he was the last miner to work in St David's in 1939 and could show the men where there were gold-bearing veins. The men obtained a mining lease and extracted the gold over three years. Where does Welsh gold come from? 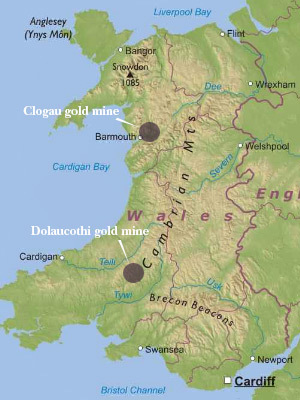 Welsh gold occurs naturally in two distinct areas of Wales. In South Wales it is found in a small area in the valley of the River Cothi at Dolaucothi where it is known to have been mined by the Romans. Jewellery such as torcs were worn by early Welsh princes. 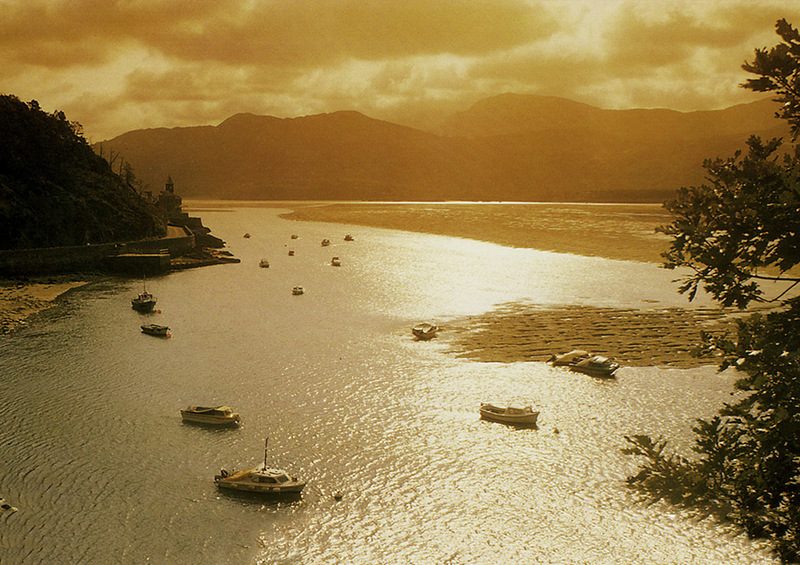 Our heritage evolved in the hills of Snowdonia when gold was found in the Clogau St. David’s gold mine 150 years ago. This mine was the largest and richest of its kind. The first major link between Welsh gold and the British Royal Family began on 13th July 1911 when Prince Edward I was officially invested as Prince of Wales in a special ceremony at Caernarfon Castle on the fringes of Snowdonia, North Wales. A gift of rare Welsh gold dating from the closure of the Clogau St. David’s gold mine in 1911 has been used to create wedding rings for some members of the British Royal Family, a tradition that began in 1923 with the Queen Mother, then later The Queen, Princess Margaret, Princess Anne, and the late Princess Diana. Other members of the royal family to have Welsh gold wedding rings include Prince Charles and Camilla, The Duchess of Cornwall, Her Royal Highness The Duchess of Cambridge, and most recently, Her Royal Highness The Duchess of Sussex. 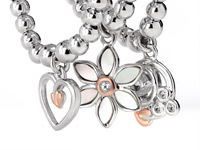 The Clogau brand was founded in 1989 with just five pieces of jewellery. Now, 30 years later we continue to celebrate our heritage with customers across the globe with over 400 pieces of iconic jewellery all containing rare Welsh gold – identifiable by the Welsh dragon and “Clogau” stamp. Clogau jewellery is an heirloom with both a personal and cultural meaning – we hope your jewellery, containing rare Welsh gold, brings you many years of joy. We certify that your piece of Clogau jewellery contains rare Welsh gold. After producing copper and a little lead for quite a number of years, the mine developed into gold production in the 1862 'rush' and continued as a major operator until 1911, during which 165,031 tons of gold ore was mined resulting in 78,507 troy ounces (2,442 kg) of gold. It worked the St David's lode of Clogau mountain alongside the co-owned Vigra Mine. Since 1911 the mine has been re-opened several times for smaller-scale operations. It last closed in 1998. In 1999 the mine was taken over and held by a local exploration company. In November 2010 the mine was acquired by a new exploration company, who hope to restore the mine to production. Within every piece of Clogau jewellery is rare Welsh gold from the Clogau St. David’s Gold Mine in Bontddu (“bont-thee”). This is undoubtedly one of the rarest, most expensive and most sought-after gold’s in the world. During the early 20th century, the Clogau mine was Britain’s largest and richest gold mine producing nearly 2.5 tonnes of gold between 1862 and 1911. For over 150 years, the mine went through mixed fortunes with the gold veins being most inconsistent and difficult to locate. Finding gold in most mines around the work is like finding the cream in a sponge cake. Finding Welsh gold on the other hand is like finding the sixpence in the biggest Christmas cake you could imagine. There’s no pattern, no logic, and you never know when you’re just inches away. Did you know that Welsh gold has a Royal Heritage? Welsh gold has been used by royalty since 1911 when it was used at the investiture of Prince Edward of Wales at Caernarfon Castle. The regalia used (which consisted of a coronet, a rod, a ring, a sword and a robe or mantle with doublet and sash) incorporated pure Welsh gold, identified by the Welsh dragon stamp. The regalia were later re-used at Prince Charles's investiture at Caernarfon Castle, in 1969. The British Royal Family has been using pure Welsh gold to create their wedding rings since 1923. This tradition was founded by The Queen Mother, then Lady Elizabeth Bowes-Lyon, on her marriage to the Duke of York on 26th April, 1923. Other members of the royal family to have Welsh gold wedding rings include Princess Anne (1973), the late Princess Diana (1981), Prince Charles (1981 & 2005), Camilla The Duchess of Cornwall (2005) and Her Royal Highness The Duchess of Cambridge (2011). Her Majesty Queen Elizabeth's very own wedding ring, from her marriage to The Duke of Edinburgh on 20th November 1947, is crafted from a nugget of pure Welsh gold from the Clogau St. David's mine. The tradition of the British Royal Family using Welsh gold wedding rings was carried into its 95th year during the most recent royal wedding of Their Royal Highnesses The Duke and Duchess of Sussex on 19th May, 2018. With rare Welsh gold contained within each piece of Clogau jewellery, it is some of the most exclusive jewellery in the world. 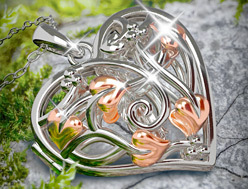 The content of Welsh gold can be identified by the Welsh dragon stamp, and other unique marks that denote a genuine piece of Clogau. 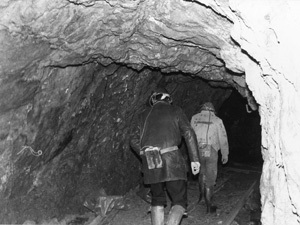 The Gwynfynydd Gold Mine in Dolgellau closed in January 1999. In January 2007, the BBC and other news organisations reported that the final traces of "economically extractable" gold had been removed from the mines and surrounding spoil. Even the local road surface had been filtered for traces, marking the end of the current mining operation. Gwynfynydd was discovered in 1860. 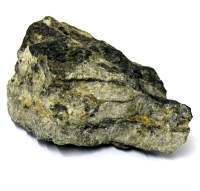 It was active until 1998 and has produced 45,000+ troy ounces of Welsh gold since 1884. The Queen was presented with a kilogram ingot of Welsh gold on her 60th birthday (April 1986) from this mine. 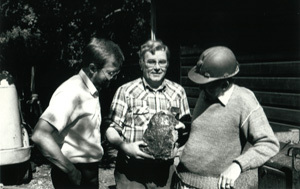 In the 1990s the mine was open to the public and provided guided tours which included the opportunity to pan for gold. The mine closed due to health and safety issues and because of changing pollution control legislation which would have made the owners liable for the quality of the mine discharge into the River Mawddach had the mine remained open. 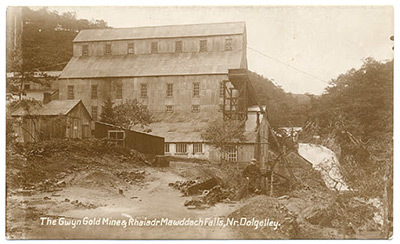 Text reads: "The Gwyn Gold Mine and Rhaiadr Mawddach Falls, Nr. 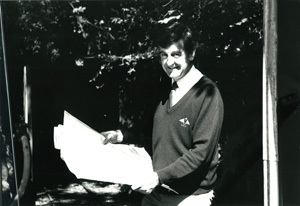 Dolgelley"
In 1989, the Clogau St. David’s gold mine was discovered by William Roberts. 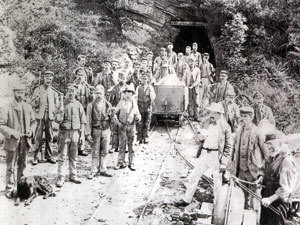 William wanted to re-open the mine as a tourist attraction, an idea that was overturned by the Snowdonia National Park. 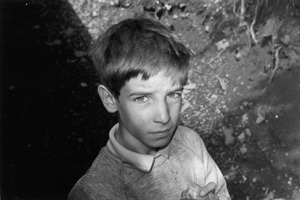 As a result, William decided to gamble on the idea that there would be more gold within the mine. Luckily, there was, and a few years worth of small scale mining began in 1992 where precious rose-coloured gold began to be extracted. To make the best use of this magnificent gold, William decided to use it to the produce jewellery of the utmost beauty and quality, using the natural beauty and history of Wales as his design inspirations. The miners who worked the mine were the direct descendants of the original workers who once struck gold at the Clogau Mine in 1854 and mined deep in the 12 miles of caverns insider the Snowdonia hillside. The precious yellow metal extracted from the Clogau St. David’s Gold Mine is one of the rarest golds in the world. 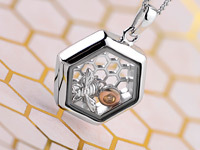 It is included within every piece of Clogau jewellery. 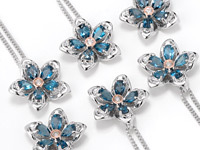 Environmentally mined, Clogau separated out the gold using water from the adjacent crystalline streams. 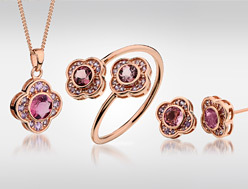 Today Clogau is more beautiful than ever. William and Margaret spent many hours carefully designing these beautiful and collectable pieces along with their full time designers and craftsmen. With no gold mining taking place in Wales today, Welsh gold supplies will eventually run out, making it possibly the rarest gold in the world. Due to the scarcity of Welsh gold, only a small amount is included within each piece of Clogau. 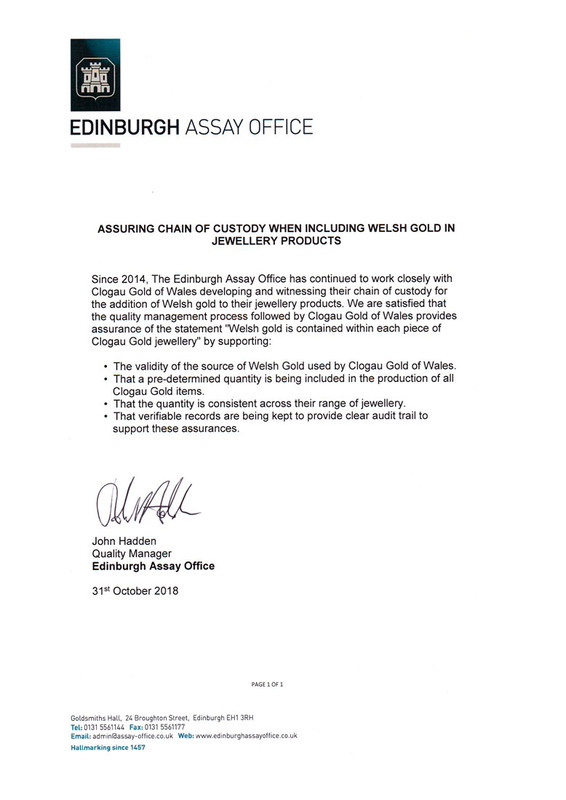 This ensures the longevity of Welsh gold supplies, and the affordability of Clogau’s jewellery.